Some animals like to travel, some like to play outside, but some like to sleep! Animals that hibernate store up food in their bodies before they sleep through the winter. 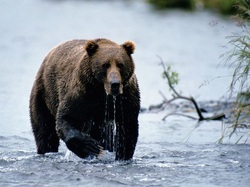 A famous animal of New Hampshire that hibernates is our brown bear. Woodchucks are master sleepers! When the temperature gets as low as 40 degrees, woodchucks will start their hibernation. They will lose half their body weight, and their heart only beats 4 times a minute! Some animals are not able to stay awake in the winter because it is too cold for them to even move! 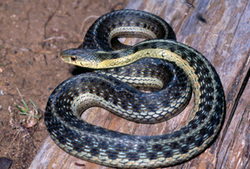 Garter snakes are found in New Hampshire. When they sleep for the winter, they sleep in very large groups. Some groups are even as big as 10,000 snakes! Chipmunks also like to sleep for a long time in the winter. 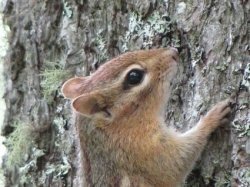 Chipmunks are special because they hide food underground, and wake up a few times every winter to eat what they have saved. They may sleep with their friends to stay warm!